The national capital territory, Delhi and it’s adjoining areas of Gurugram, Noida and Faridabad have once again come under the grip of severe pollution. January 17 i.e. Thursday recorded the second worst air quality in Delhi of the month with the Air Quality Index (AQI) at 440. As per Central Pollution Control Board, On Thursday, 31 areas recorded 'severe' air quality and two with 'very poor' air quality. In the National Capital Region, Ghaziabad, Faridabad, Noida and Greater Noida recorded 'severe' air quality while Gurgaon recorded 'very poor' air quality. Both the components of particulate matters viz. PM2.5 and PM10 touched severe level. 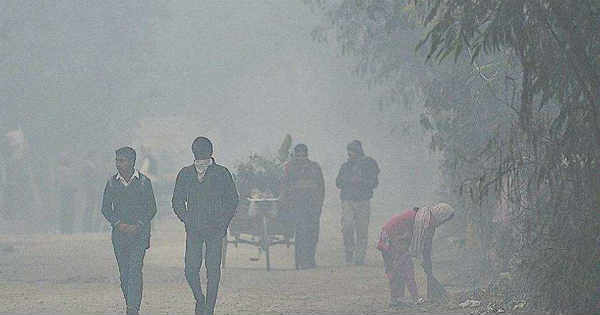 Between January 12 and 16, pollution levels in Delhi went down and were in the moderate zone with poor at some places. The levels have once again spiked up because of the change in wind direction from northerly winds to humid south-easterlies. The wind speed has now become light and calm in nature, resulting in very dense fog at many places of Delhi and NCR. These calm winds have acted as a catalyst and have risen the pollution levels. The pollutants keep lingering near the earth surface for longer duration as they have no means of escape. Up till January 16, the dry and cold moderate northerly winds with a wind speed of 15-20 kmph gusting to 25 kmph have kept the pollutants away which resulted in moderate air quality. 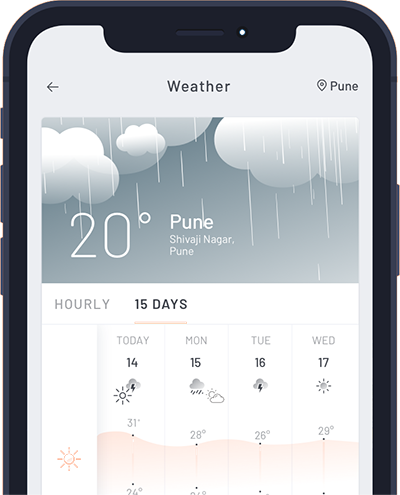 As per Skymet Weather, it will not be wrong to say that the tenure of these four days can be considered as the best period in terms of pollution. During these days, the pollution levels were at bay and the air quality was also in average zone as compared to the days of November and first week of December 2018. For the next 48 hours, the residents of Delhi and NCR have to gear themselves up for bad air quality because the meteorological conditions suggest that the humidity levels will be up, and temperatures will be low with light winds in offing. All these factors are highly responsible for spike in pollution levels. However, January 21 evening onward, Delhi and its neighborhood areas might start witnessing on and off rains up till January 25. The intensity of rains can go up from January 22 onward with few moderate spells at many places. During this period, the pollution levels might see a dip, as these rains will wash away the pollutants in the atmosphere. It is foreseen that, January 26 onward, cold and dry winds from the North will make a comeback resulting in condensation of moist air. Thus, during Republic Day celebrations, dense fog could be a hindrance for the flypast ceremony to be held at Rajpath, Delhi.